Okutala Etosha is set in Etosha National Park in Namibia. This is one of the most well-known parks in Africa and boasts a big variety of wildlife. 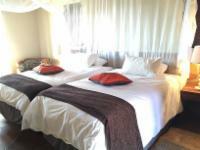 The lodge offers various room types. 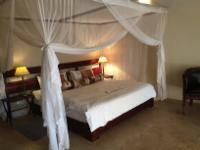 All the rooms are en-suite and include tea and coffee facilities. 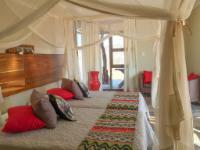 Guests have access to the communal swimming pool and can spend their time unwinding around the lapa area. There is a restaurant and a bar on the reserve and here guests can dine and socialise at their leisure. Laundry services can be arranged on request. Guests will be able to spot giraffes, elephants, birds and big cats. They are especially active at night around the waterholes. Okutala Etosha is 91.9km from the centre of Etosha National Park , the nearest airport 368.1km (Rundu Airport).